It's nice to have a trunk that only has intentional holes in it. There is a crossmember underneath he car that will hide any welds. 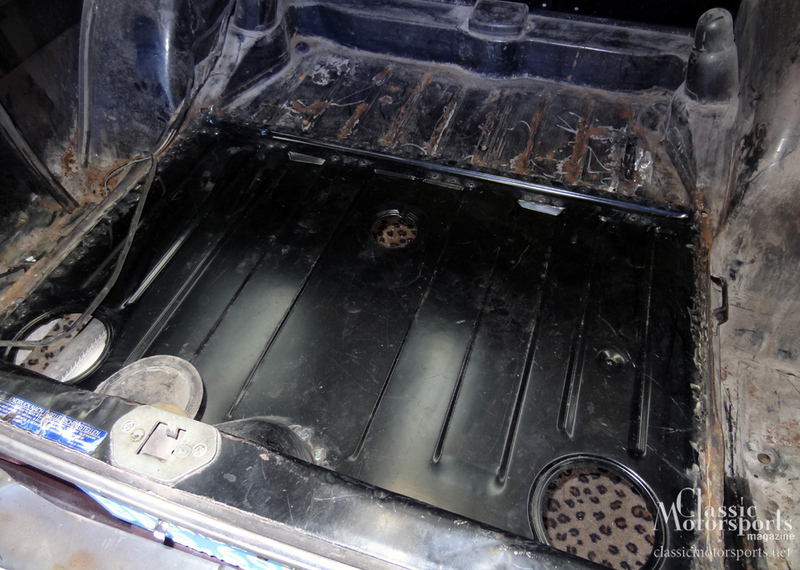 The trunk floor repair was also an intimidating project. But access was quite good with the gas tank removed, and, of course, this made welding much safer. While the factory repair panel did not go all the way to the front of the trunk floor, it did fit perfectly. We welded a seam where a brace was located underneath the trunk. Cutting the pan off here would make it nearly impossible to detect the repair. Cutting out the old floor was time consuming. Again, we drilled out all the spot welds and carefully pried the old floor out, making sure we didn’t butcher the surrounding areas. We then drilled holes at the edges of the new panel and faked spot welds by fill-welding the new panel into place. 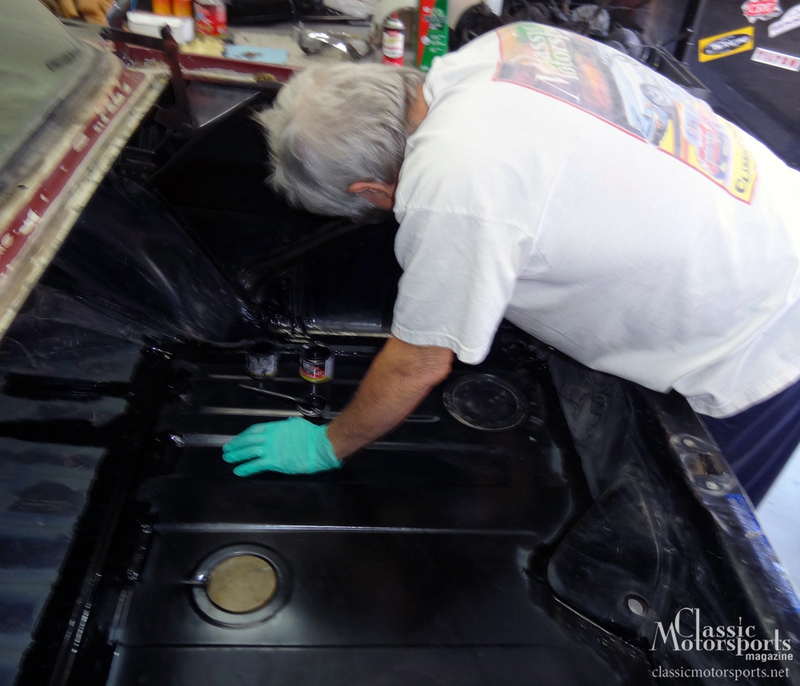 From there we primed and seam-sealed the edges to make the repair nearly undetectable.